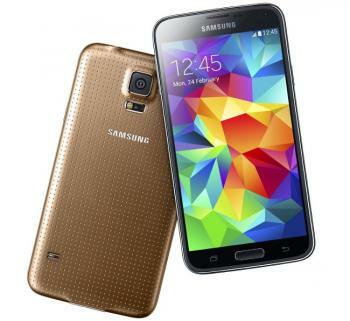 Samsung sees the GS5 outselling the GS4, says the Note 4 will have a "new form factor"
Samsung launched the GS5 last week, and it seems that the company's new flagship phone is off to a good start. Yoon Han-kil, senior vice president of Samsung's product strategy team says that the new phone is selling faster than the GS4, and they said that while the GS4 sold 10 million units in 27 days, the GS5 will do "significantly better". The first-day GS5 sales in the US were up 30% compared to the GS4. The GS5 uses a 5.1" FHD (432 PPI, Diamond Pixel) Super AMOLED display which at first seemed quite similar to the 5" FHD display on the GS4, but according to DisplayMate, the display is far superior in many aspects, and it's actually the best mobile display ever. Samsung's Yoon also said that the upcoming Galaxy Note 4 (to be launched in the second half of 2014) will have a "new form factor". 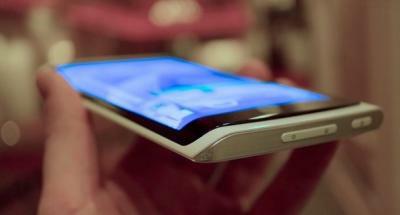 Some reports suggest that the new form factor means a flexible OLED display. As foldable device will only arrive in 2015, perhaps the Note 4 will use a curved YOUM OLED on the edges, similar to the concept showed in 2013 (see photo above). I'm a bit skeptical as SDC will not have the capacity to supply so many flexible panels in 2014.